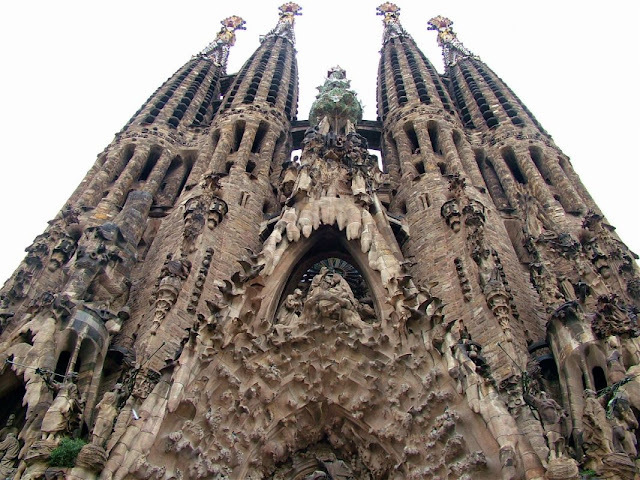 La Sagrada Família has become a popular tourist spot in Barcelona, Spain. 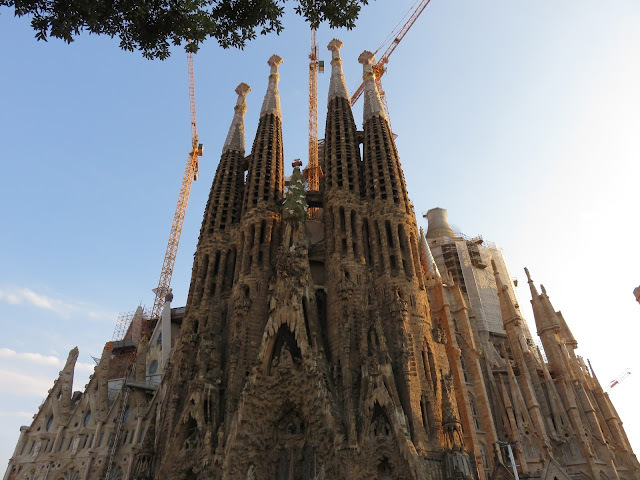 It's construction began in 1882, and it is still under construction after more than a century. It attracts more than 3 million visitors every year. Apart from being in construction for tens of decades, its fascinating design is one of the reasons that attracts masses. 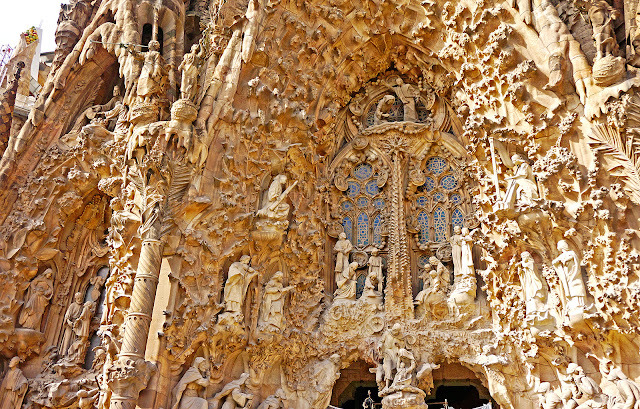 One front is titled 'The Birth of Christ', and within this are three gateways called The Portal of Hope, The Portal of Mercy, and The Portal of Faith. 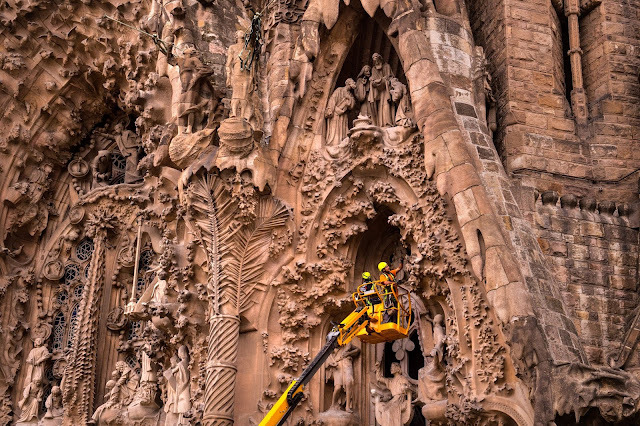 La Sagrada Família, upon completion as per plan, will be 170 meters (560 ft) tall. It was started in 1882 and is hoped to be completed in 2040, making it take longer time of construction than Egyptian pyramids by 20 years. 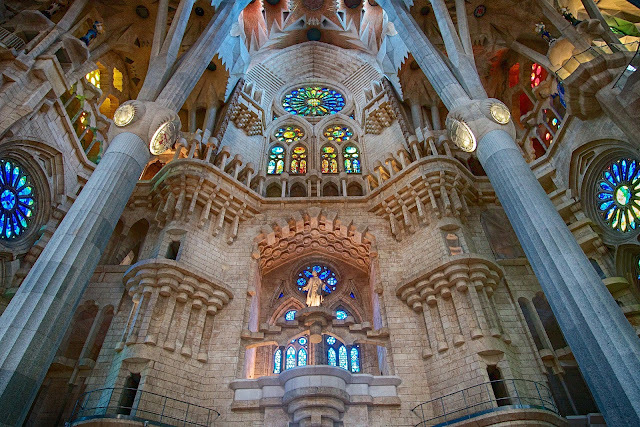 The interior structure is supported by large pillars having different faces at their bases. Several plants, animals and geothermal formations were analyzed in order to observe how they naturally supported shapes and weight. 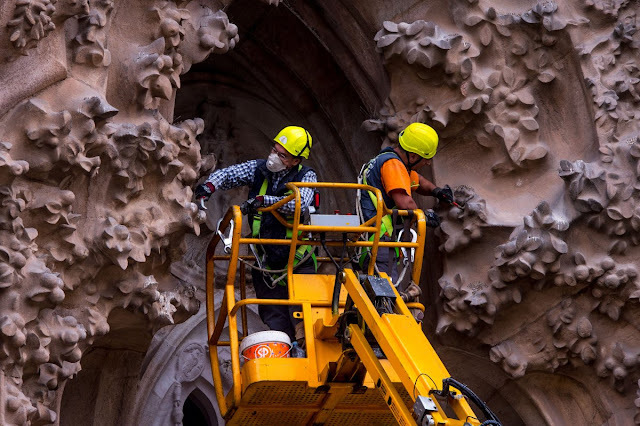 A closer look on design would give you goosebumps as a massive amount of art work has been done by hundreds of architectures to make every detail of the design flawlessly attractive, and more than that, meaningful. In 1936, a group of people set the it on the fire and destroyed the plans and models, luckily some of them were saved. 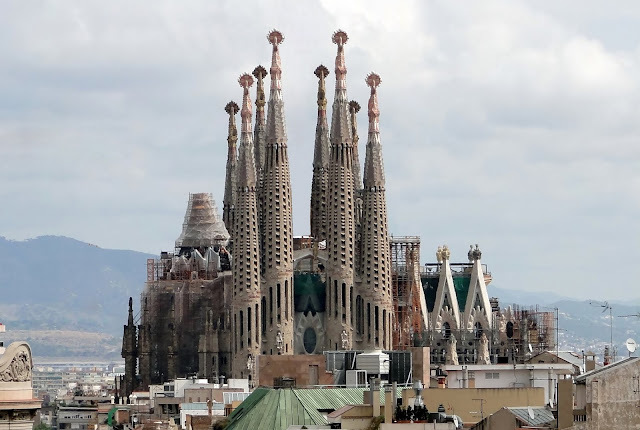 Upon completion, this is going to be world's one of the most prominent Church as well as a tourist spot.